Sometimes you need to add another email address to the existing user. In Exchange, in addition to the primary address, each mailbox can be assigned to several additional ones (called aliases or proxy addresses). In Active Directory, additional aliases are stored in the recipient’s multi-valued attribute named proxyAddresses. 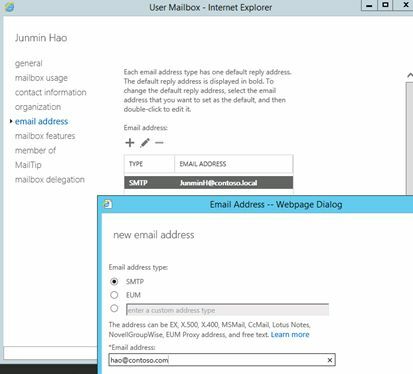 Proxy addresses allow user to receive mail sent to different addresses. Any email sent to the user’s proxy address is delivered to the primary e-mail address mailbox, called the default response address. For example, we need to assign a user with the primary SMTP address JunminH@contoso.com a shorter name (surname) alias address — hao@contoso.com. 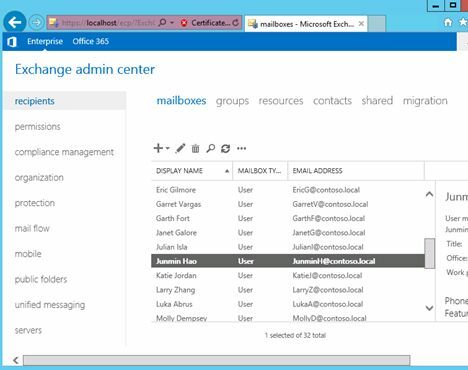 In Exchange Server 2016 you can add an additional SMTP alias to the user using the Exchange Admin Center or the Exchange Management Shell. 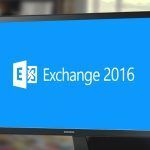 PowerShell commands that is described above work on Exchange 2010, 2013 and 2016.